As the House of Representatives commences debate on the Petroleum Industry Bill (PIB) today, PHILIP NYAM hazards the factors that may drive the consideration of the controversial proposal. Last week, the House of Representatives finally resolved that it would commence full deliberation on the Petroleum Industry Bill (PIB) this week. But signs that the bill may meet a bulwark on its way to becoming a law emerged as soon as it was submitted to the House on July 19, 2012 by President Goodluck Jonathan. The lawmakers decried the decision of the president to forward the bill on a day they were proceeding on annual vacation, saying it was a plot to blackmail them. Hence, it was resolved that consideration of the bill would start immediately after resumption in September. Before ruling on that, the Speaker, Hon Aminu Waziri Tambuwal had also advised the executive to make available 500 copies of the bill to the House as he disclosed that his office got only three copies. It will be recalled that after facing several hiccups at the sixth Assembly, the PIB passed first and second readings at the House but was thrown out at the Committee of the Whole. But the present administration resurrected it. However, since reconvening from the annual recess in September, the bill had been listed only twice without debate. The first day it was listed, the House adjourned before it got to the item. However, the second time, which was last week, the PIB was listed on the order paper for debate but when the speaker invited House leader, Hon. Mulikat Akande-Adeola to lead debate, she instead requested for more time to enable her receive ‘briefing’ from the petroleum minister, Mrs Diezani Alison-Madueke. 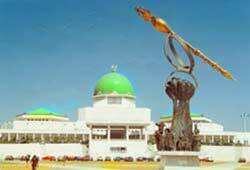 When the House resumed on September 18, 2012, Tambuwal in his welcome address promised that the House would accord priority attention to particular bills in consistent with the legislative agenda of the House. According to him, “Such bills include constitutional amendment bills on the budget; the Petroleum Industry Bill, review of the Police and Security Agencies Acts, Bills to deal with unacceptably high unemployment situation in Nigeria.” The question now is, how expeditious would this bill be passed? Is actually a priority bill to the House and what are the factors that may delay its early passage? Secondly, the lawmakers decry the manner the petroleum minister allegedly carries herself particularly the enormous powers vested in her office by virtue of the bill. “They are also not comfortable with the messenger of the bill (Minister of Petroleum Resources, Mrs. Deziani Alison-Madueke), who has vested awesome powers in her office, using this bill. The PIB has given the minister so much power to decide everything that will happen in the proposed unbundling of the sector. Thirdly, a new bill has been sponsored by a member of the House, which according to the chairman, committee on rules and business, Hon. Albert Sam-Tsokwa is similar in content. Consequently, the House has resolved to consolidate the two bills. The new bill titled “a bill for an act to establish the National New Frontier Exploration Agency, for the purpose of exploration and production of oil and gas in the frontier of Chad basin, Dahomey basin, Imo basin, Benue trough and Sokoto basin” is sponsored by Hon. Kaka Kyari Gujibawu (PDP, Borno). The intendment of this bill is to pursue exploration and production of oil and gas in the frontier of Chad basin, Dahomey basin, Imo basin, Benue trough and Sokoto basin. The northern lawmakers are purportedly using this bill as a bargain chip to also protect the interest of the region. With this development, can the PIB be passed as envisaged by the sponsors? There is every tendency that the outcome would be an “adulterated” or “watered” PIB that may not meet the expectations of the initiators. The PIB may also meet a stiff opposition in the lawmakers from the minority parties. Leader of the minorities, Hon. Femi Gbajabiamilah (ACN, Lagos) had given this indication when the bill was sent by the president. In deed, Gbajabiamilah was the first to raise the objection that the bill should not be received until the House resumes from annual recess. In fact, he canvassed for an outright return of the bill back to the president. And as a prelude to the debate that is likely to commence today, the opposition lawmakers met at an enlarged meeting to aggregate their views and galvanize their position on the bill, signalling that a tough time awaits the document. The passage of the PIB may also be delayed as some lawmakers still complain of not receiving copies of the bill. On July 19, when the House received the proposed law from the president, Speaker Tambuwal had ordered the executive to make available 500 copies of the new bill to the House. But as at last week, when the House voted to begin debate this week, some of the lawmakers feigned ignorance of the content of the document, one of whom confided in our reporter under anonymity. The speaker had asked members interested in contributing to the bill to submit their names to the chief whip, deputy whip, minority whip and deputy minority whip for an orderly conduct of the debate. But not many of the lawmakers have had copies till date. From all indications, debate on the PIB promises to be stormy as a lot of factors would come into play. Series of sentiments would be expressed but the bill may be passed though with variations and amendments.